This week's menu has two delicious and spice-forward chicken dinners along with a new take on shrimp and lots of noodles! 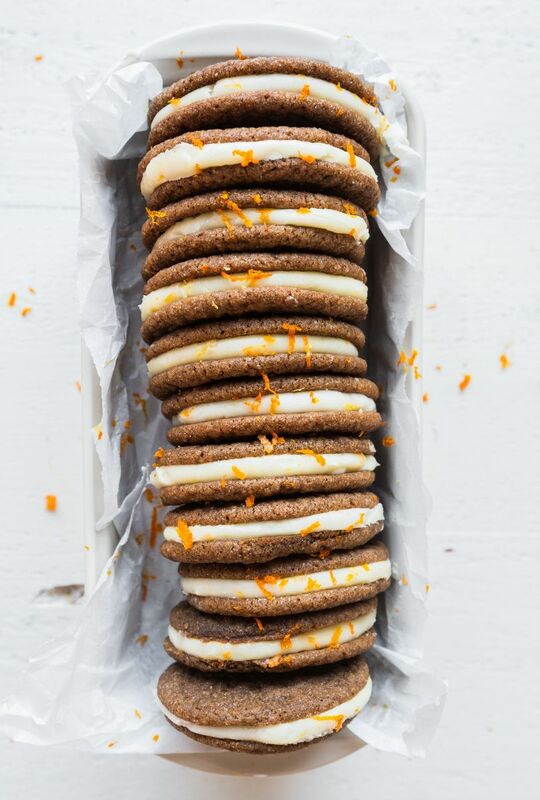 Plus, some epic cookies sandwiches for a weekend treat! What more could you ask for? 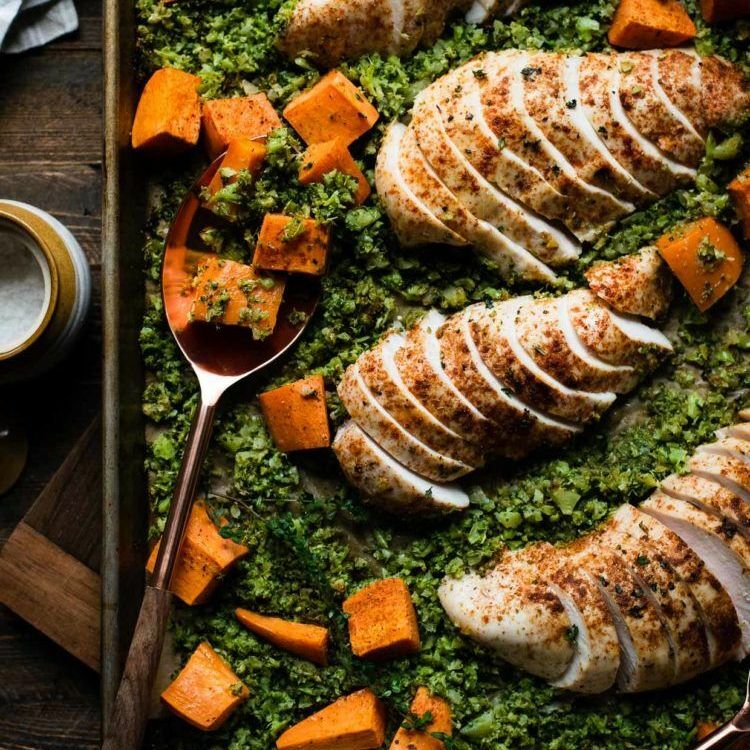 We love the combination of Simply Organic spices in this quick and easy sheet pan chicken dish! Feedfeed Tip If you do not have a food processor, you can shred the broccoli on the side of a box grater, or buy riced cauliflower from the grocery store. 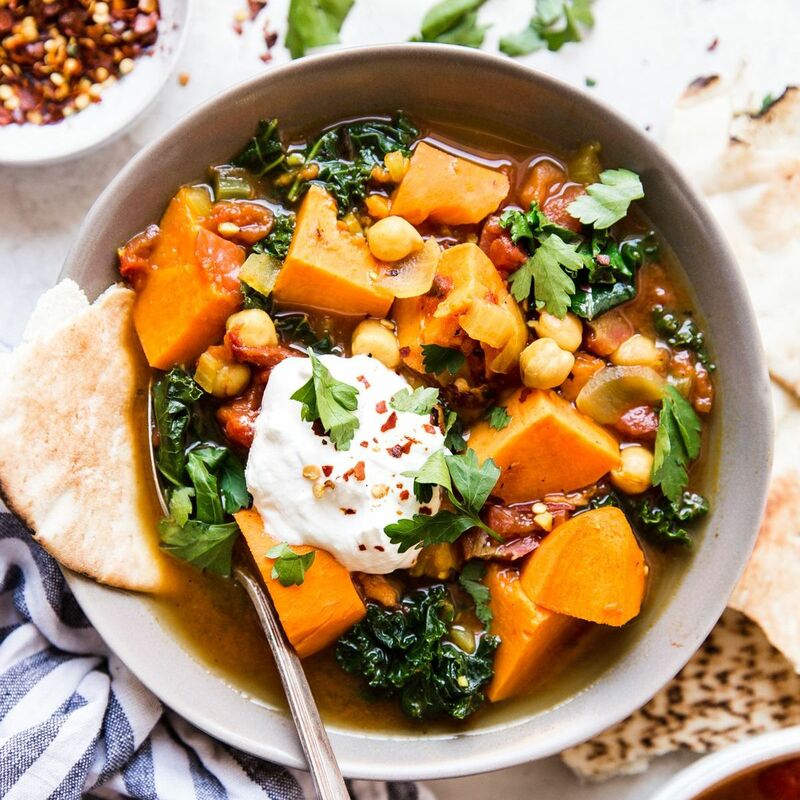 There is still a slight chill in the air so we're keeping warm with this veggie-packed Spiced Veggie Stew! 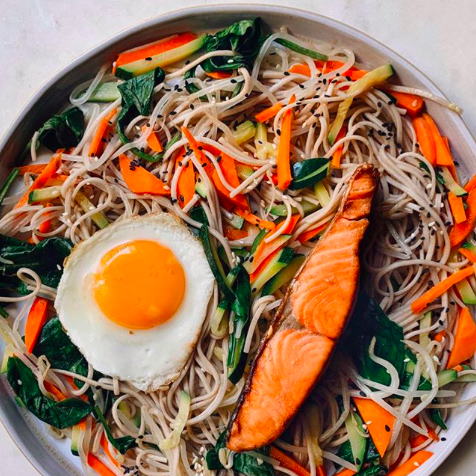 Salmon + Sunny Eggs + Noodles? Yep, pretty much our ideal dinner. Feedfeed Tip Keep a close eye on your soba noodles. They can quickly over cook and turn to mush. Once they have cooked to your liking, run them under cold water to cool them off and stop them from overcooking. This dairy-free pasta gets unexpected creaminess from avocado! 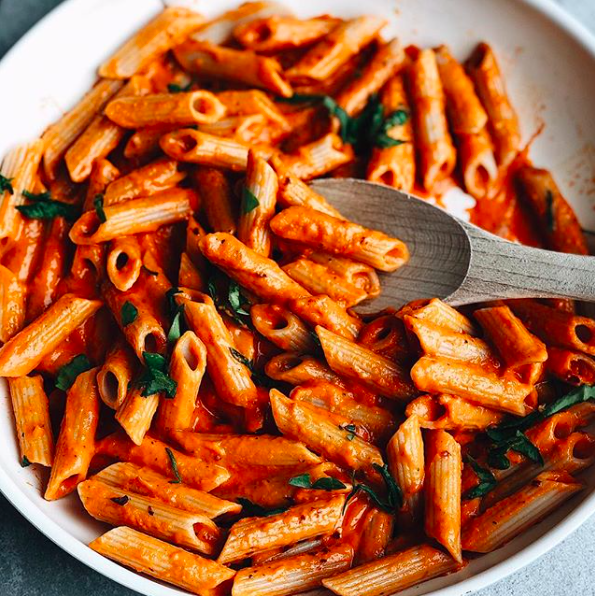 Serve this over pasta or rice for a complete meal. 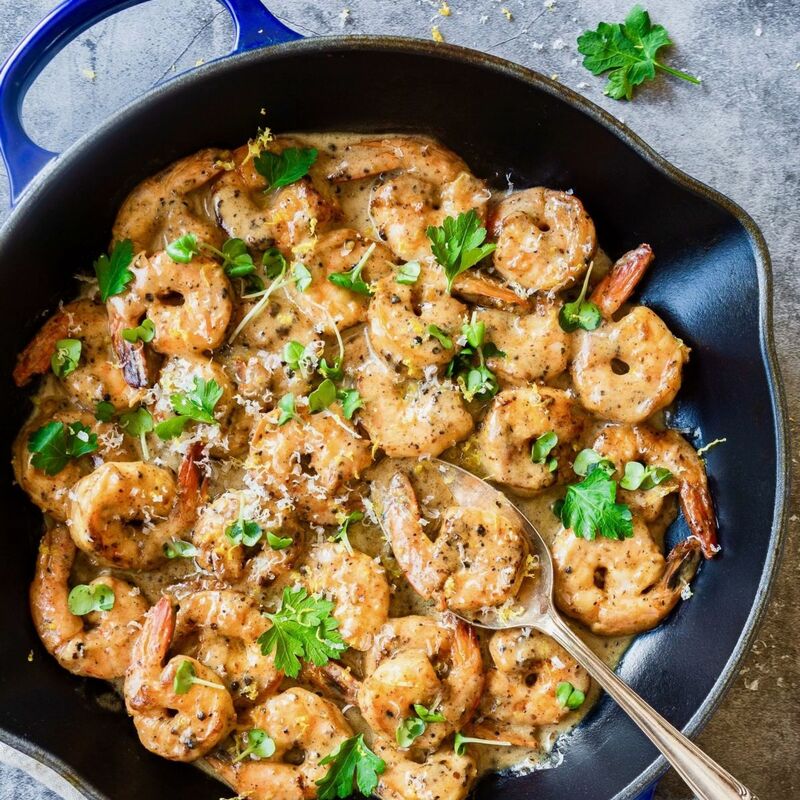 Watch our @rachelgurjar make these delicious shrimp here! 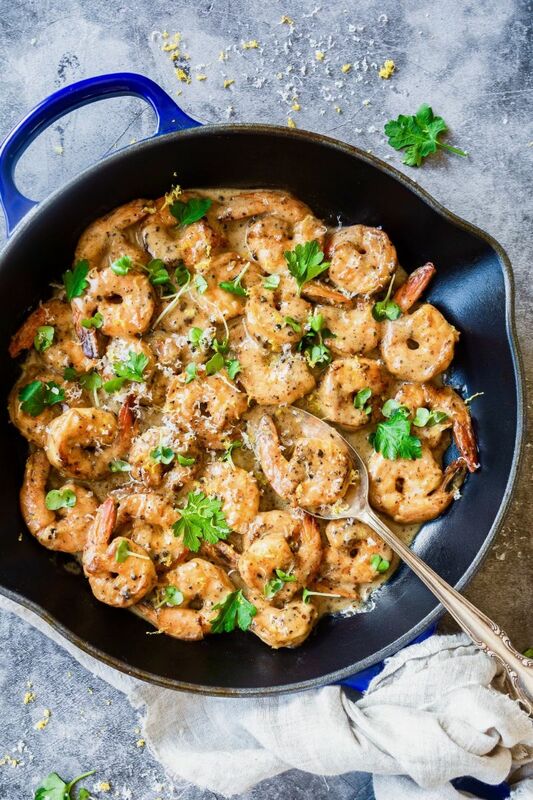 Feedfeed Tip Afraid of the old no cheese with seafood rule? Trust us, some rules are meant to be broken! Roasting the cabbage really brings out the sweetness! 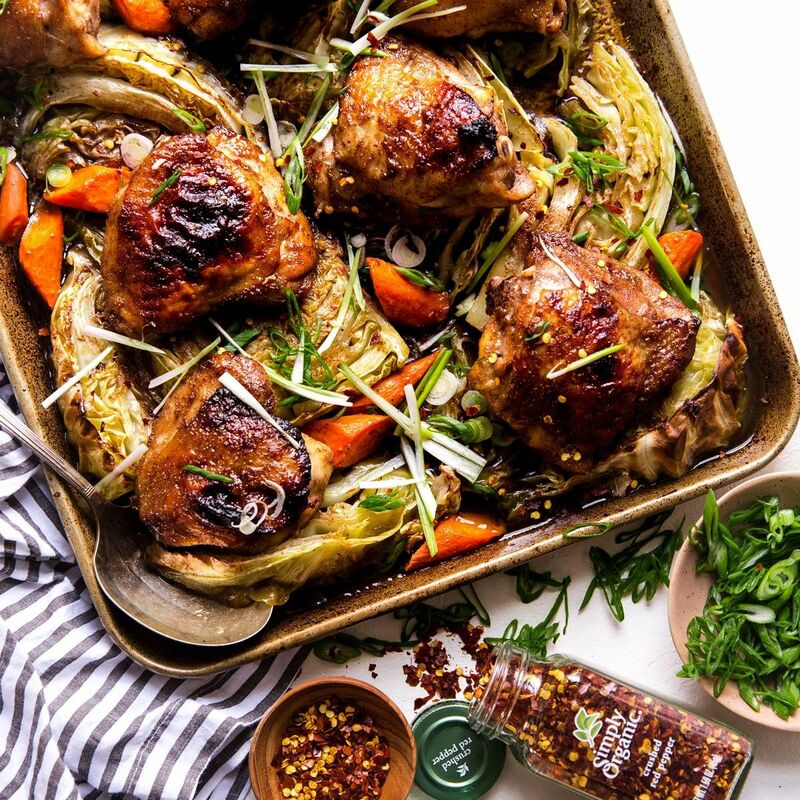 Plus, who doesn't love an easy sheet pan dinner? The perfect dose of nostalgia as a reward for making it through the week! Feedfeed Tip You want to slightly under bake the cookies so the center is nice and soft!